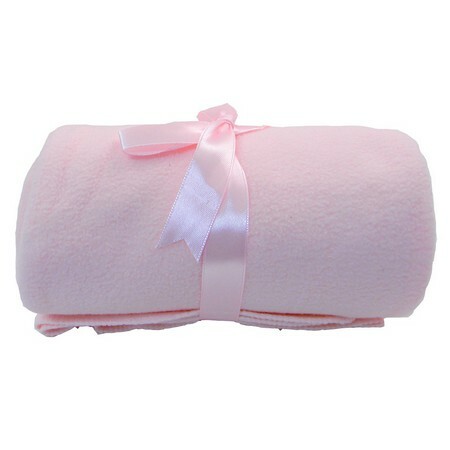 Soft and comfortable fleece blanket for baby. 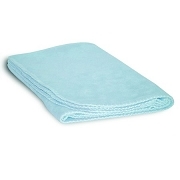 Constructed with durable merrow stitched edges. Comes in 4 popular colors. Complimentary ribbon tie. 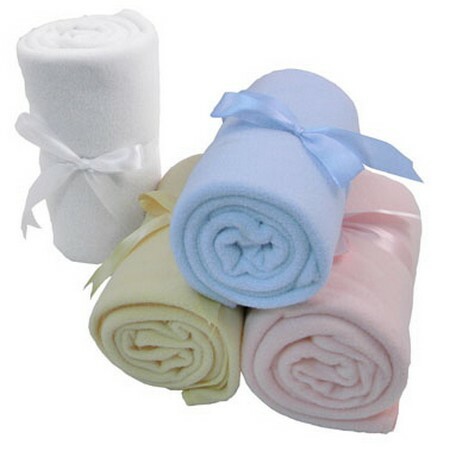 The Fleece Baby Blanket can be embroidered with your name or logo! For a quotation or more information, send an email to customerservice@cozycoverz.com with your logo or text and the quantity you'd like to customize (12 min. ).